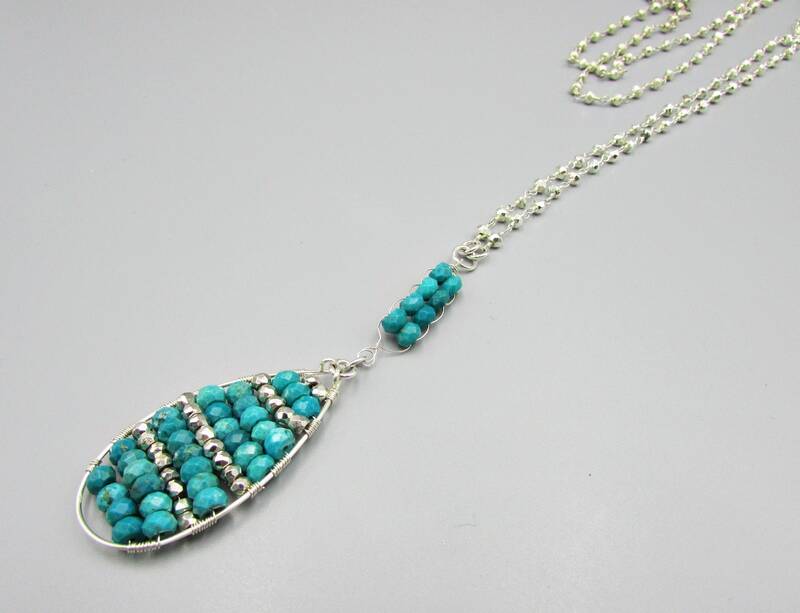 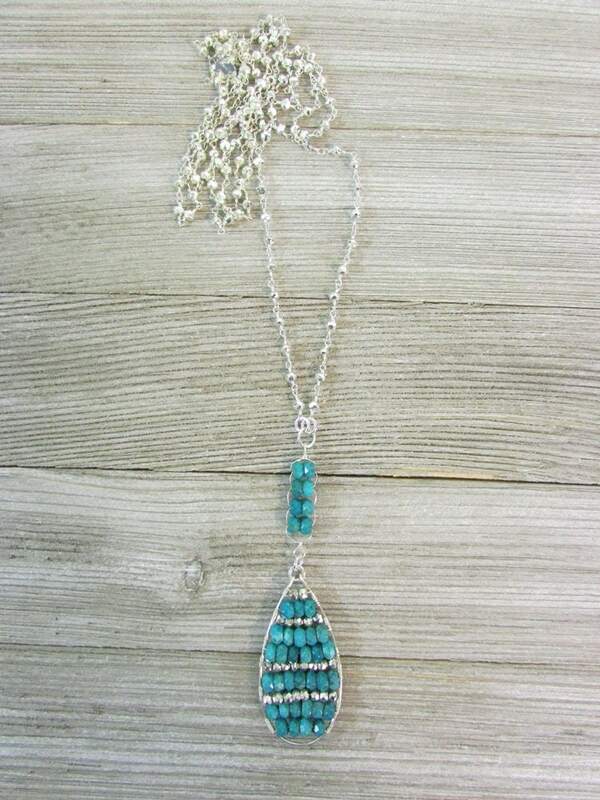 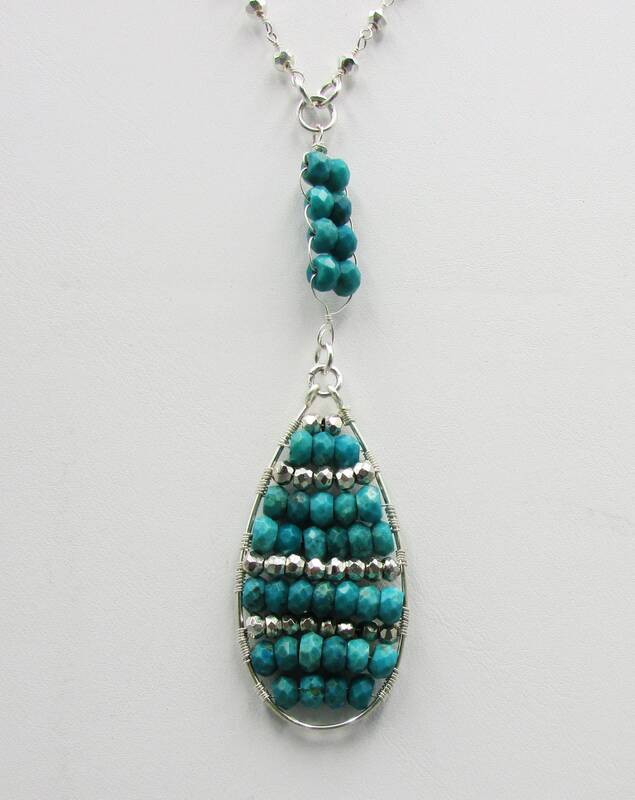 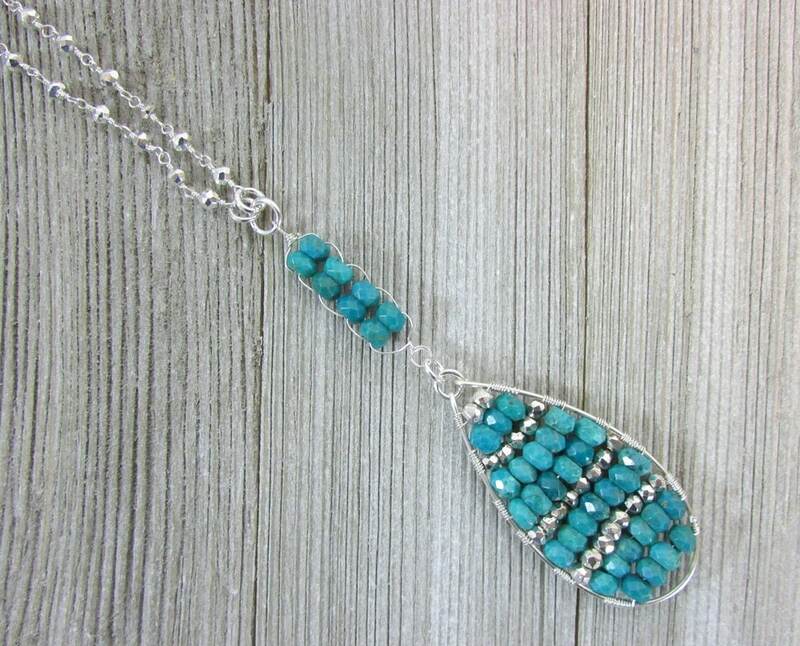 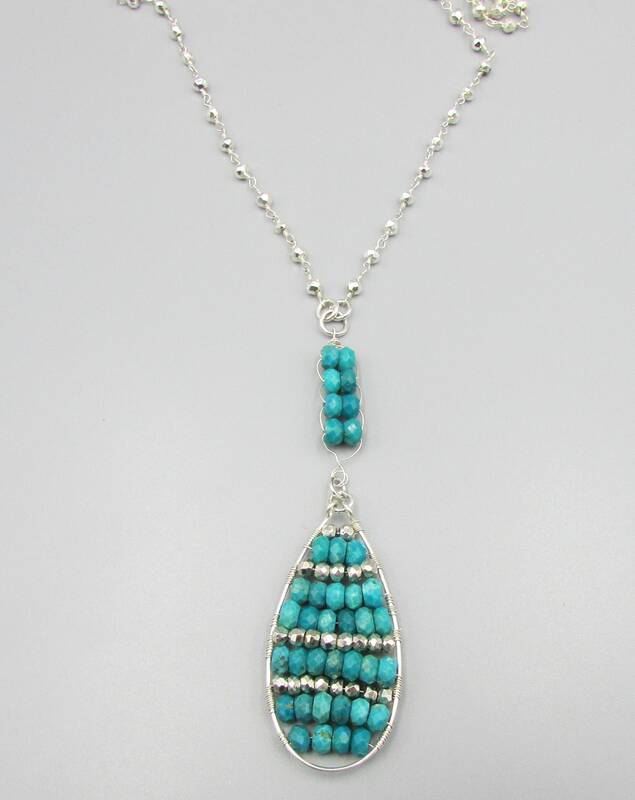 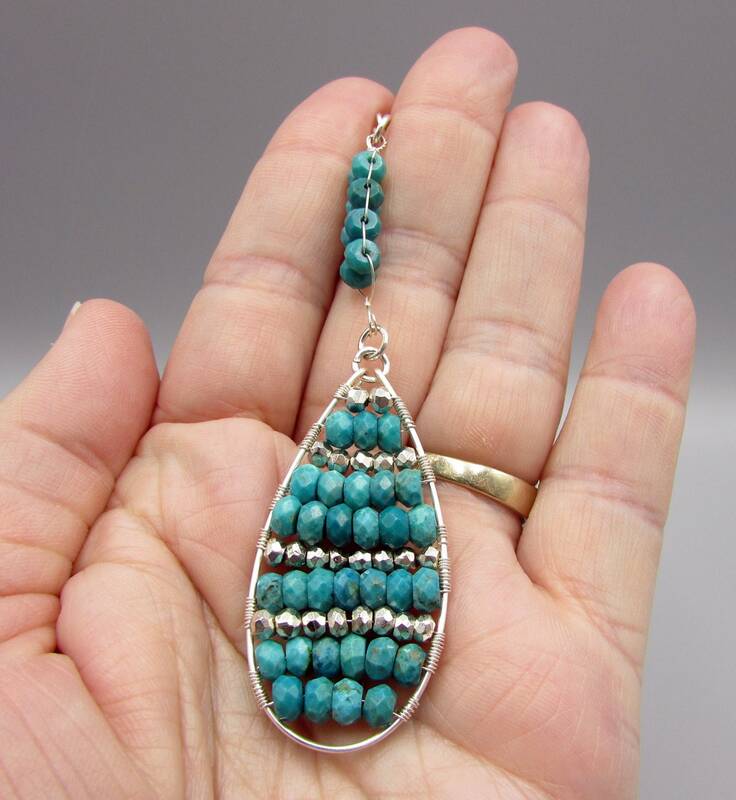 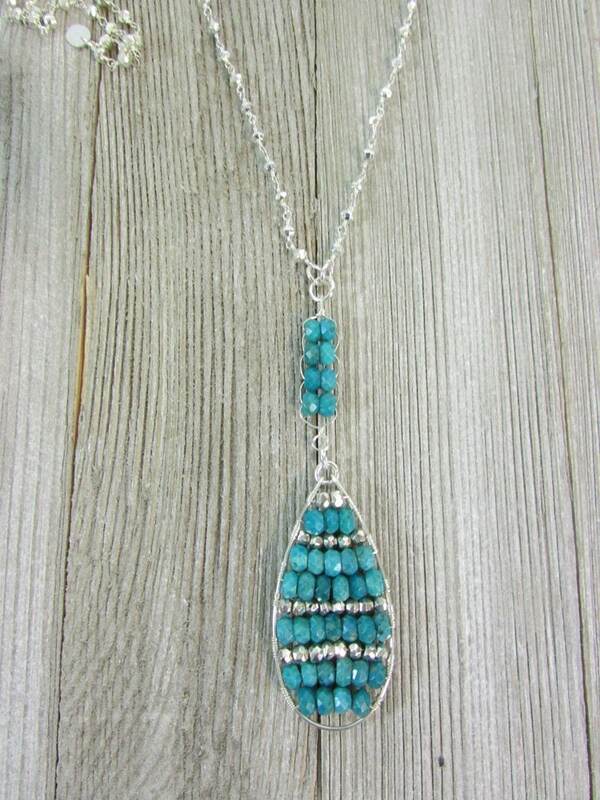 This beautiful necklace is made with sterling silver pyrite beaded chain and a wire-wrapped real Turquoise handmade pendant. 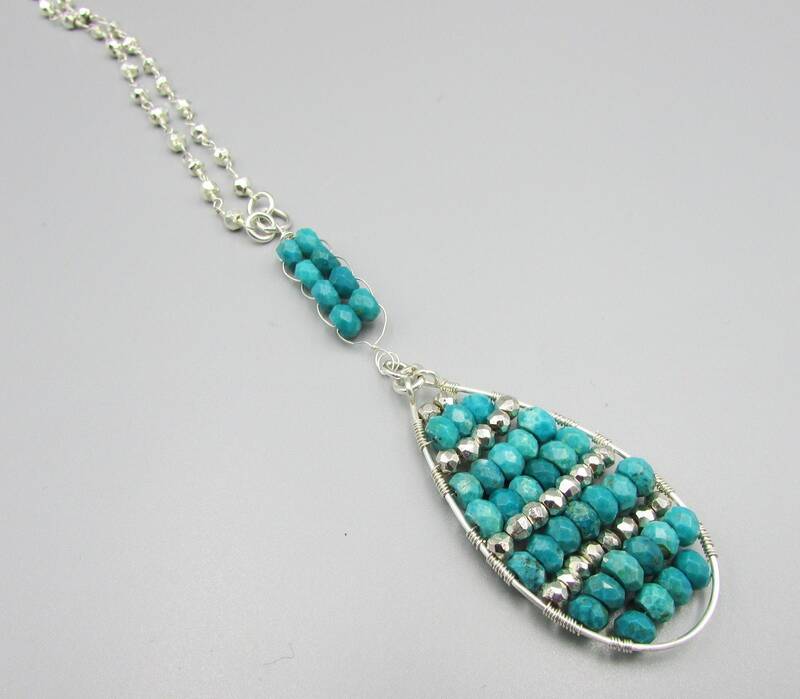 The chain is 35 inches, the pendant is 4 inches, making the total 39 inches in length. 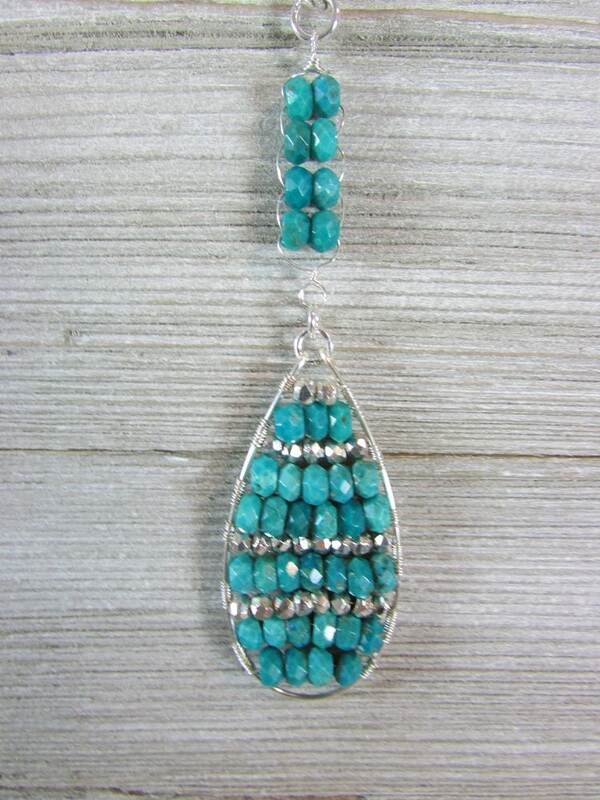 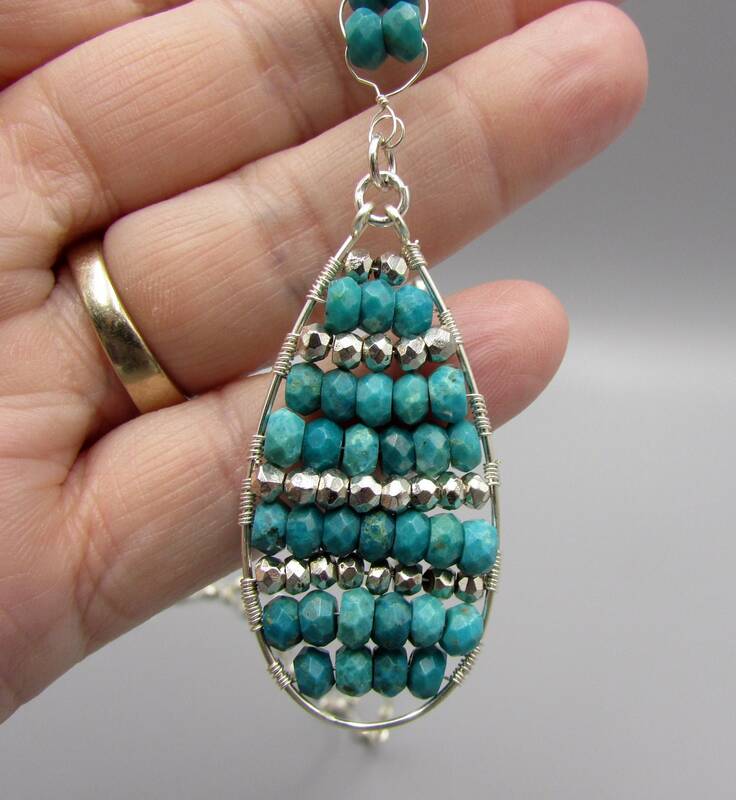 The turquoise looks blue in the photo but it is really more of a blue-green in color.